The Spirit of Christmas Fair will return to Olympia London from 29 October – 4 November 2017 where you can uncover extraordinary gifts. 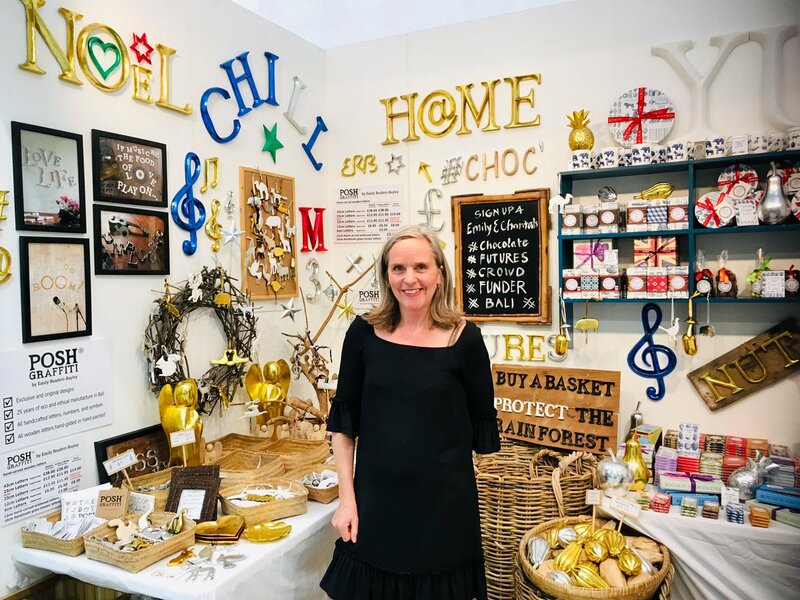 Emily Readett-Bayley will be there on stand GG9 with her unique range of ethically made Christmas decorations and the POSH Graffiti wall. She is thrilled to be sharing her stand this year with Chantal Coady OBE, and they will be launching their Chocolate Futures crowd funding campaign which aims to bring fine Indonesian cocoa to the United Kingdom and in doing so empower marginalised farming communities. Delicious Rococo Chocolates will also be on sale and you can find them on the Gift Gallery next to the Louis Roederer Champagne Bar!